Janet Jackson Says MJ Refused Family's "Interventions"
Grammy-winning singer says Jackson clan wasn't "naive"
Janet Jackson says her family knew about MJ's drug problem. Michael Jackson’s family tried for years to stage interventions that would break the singer's downward spiral of drug use, but the King of Pop couldn't see he needed help, his sister Janet has revealed. 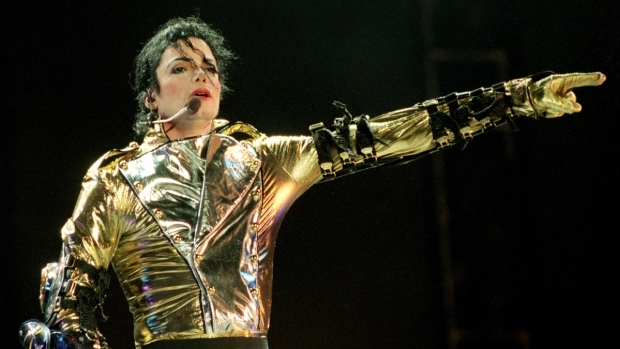 “I did [reach out],” Jackson told ABC News’ Robin Roberts in a wide-ranging interview. "Of course, that's what you do. Those are the things that you do when you love someone. You can't just let them continue on that way. And we did a few times. We weren't very successful." But Janet said the Jackson clan had no idea Michael was mixing a potentially lethal hospital sedative, propofol, with his regular cocktail of drugs. "That was, that was a shocker to me and it just -- that's serious," Jackson said. "That's heavy. That's heavy. None of us knew to that extent." She said she wished her brother were still around to answer the question: Was he in denial about his drug problem? "I felt that he was in denial," she said. "You can't make 'em drink the water. ... I'm a true believer in prayer, a big believer in prayer -- but it's, it's something that you can't do for them. Something they have to do for themselves," she said. As for Dr. Conrad Murray -- the doctor under investigation after Jackson’s June 25 death was ruled a homicide, and who has admitted giving the Gloved One doses of propofol -- Janet said she hopes he’s never allowed to practice medicine again. In talking about her own life, the five-time Grammy winner said her first husband's addiction to prescription drugs broke up their union within three months. Jackson also shot down rumors that she’d secretly married the latest man in her life, Jermaine Dupri, and confirmed their split. "I adore him. Absolutely adore Jermaine," Jackson said. "Love him to death and we're still very good friends to this day. Very good friends, but that's all I'll say." At 43, Jackson said she finally learned not to care what people think about her. "You have no time for mess, no time for drama," she said. Her new CD “Number Ones” has recently hit shelves as has “True You,” Jackson's new tome about her weight struggles.